What constitutes the good human life? This is one of philosophy’s oldest questions, employed towards dialogues of moral obligation, civic virtue, distribution of happiness, as well as issues of social policy and human rights. 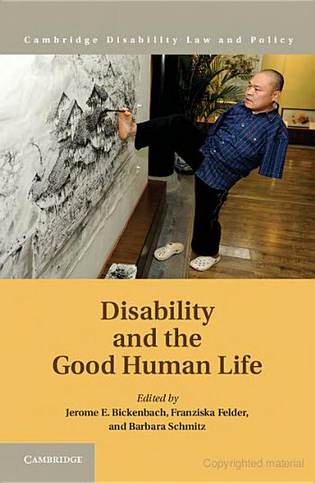 Historically, the topic of disability has scarcely been touched by philosophers. Where discussed, having a severe disability was presented as justification for euthanasia and as evidence for applying bioethical grounds for selective abortion or limiting the moral status of disabled persons. Assumptions that all serious or severe impairment harms the good life contradicts with a growing body of evidence that persons with disabilities rate their well-being on positive terms, revealing that disability is a complex and interactive phenomenon that cannot be evaluated on the impairments alone. So how do we evaluate the balance between subjective well-being and objective harm as decrements to the good human life?